Dayton Children's is a not-for-profit hospital, which cares for all children regardless of financial circumstances. We are committed to working with families to help you pay your medical bills. You can apply for financial assistance before, during or after your child receives care at Dayton Children's. Financial aid for Dayton Children’s health care bills. Assistance by trained financial counselors, including help filing for Medicaid, HCAP and State Child Health Insurance Plans. Dayton Children’s will not discriminate against any person receiving health services because of his/her inability to pay for services, or because payment for the health services will be made under a financial assistance program. If the family or patient is not eligible for a financial assistance programs they may still qualify for a discount on self-pay charges, or they may be able to work with patient accounts to pay any outstanding balances through such activities as setting up a payment plan, etc. For additional information please read our financial assistance policy. View a listing of physicians covered by our policy. 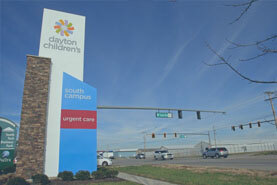 For a complete listing of Dayton Children’s Hospital charges please see the linked document. Please note that in almost all cases the amount paid by you or your insurance will be less than these listed charges. The first step to see what assistance you may qualify for is to either fill out a Dayton Children’s financial assistance application or contact Dayton Children’s business office at 937- 641-3555 or toll-free for Ohio residents only at 1-800-228-4594. After the financial assistance application is completed that data will be used to determine what programs the patient might be eligible for. Dayton Children’s provides financial assistance to individuals and families with income at or below 400 percent of the federal poverty guidelines. The financial assistance application can be completed before, during or after your child receives care at Dayton Children’s. The financial assistance application uses federal poverty levels compared with family size and income to determine the level of eligibility for financial assistance. Dayton Children’s may also use the federal poverty guideline rates as a basis for calculating discounts or Dayton Children’s may use an average percentage of negotiated rates for families that qualify for financial assistance to help determine the amount owed. There are also other ways to become eligible for financial assistance other than just using family size and income, such as a child’s medical diagnosis. Children's Buy-in Health Care Program. For families with income over 300 percent of the Federal Poverty Level. Families need to meet certain criteria and there are monthly insurance premiums for each child enrolled. Montgomery County Human Services Levy. This is available to Montgomery County residents only. It provides assistance for residents with overwhelming medical bills. Ohio BCMH (Bureau for Children with Medical Handicaps). This State program provides coverage for children with specific illnesses, such as cancer. Ohio Care Assurance Program provides free care for any Ohio resident whose income falls below 100 percent of the federal poverty level. Dayton Children's provides financial assistance to qualified low-income families with large hospital bills. Dayton Children’s will attempt reasonable efforts to contact a family regarding their medical expenses before referring their account to a collection agency. These efforts include contact via both phone and mail. Following these collection efforts, if a family has not contacted Dayton children’s regarding any outstanding balances; the account may be referred to an outside collection agency. Consistent with its mission to provide comprehensive and compassionate care that improves the health of the people we serve, Dayton Children’s Hospital is committed to providing Financial Assistance to every person in need of emergency or other medically necessary treatment if that person is uninsured, underinsured, ineligible for other government programs, or unable to pay based on their individual financial situation. Financial assistance is available under our Financial Assistance Policy (FAP) for emergency care or other medically necessary care provided by Dayton Children’s Hospital for Eligible Patients. Patients with family income exceeding 400% of the Federal Poverty Guidelines may still be eligible for hardship financial assistance on an individual basis. The Patients' expenses and liabilities are considered in the evaluation of their eligibility for approval. Patients are expected to contribute payment for care based on their individual financial situations; therefore, each case will be reviewed separately. 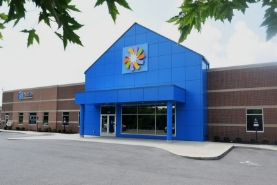 Financial Assistance is not considered an alternative option to payment, and patients may be assisted in finding other means of payment or financial assistance before approval for the Dayton Children’s Hospital Financial Assistance Program. Dayton Children’s Hospital may also offer additional discounts for prompt payment of the patient’s expected financial liability when applicable. 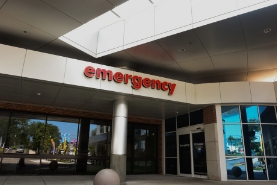 No Eligible Patient will be charged more for emergency or other medically necessary care than Amounts Generally Billed (AGB) for those patients who have insurance covering such care. Return completed applications to: Dayton Children’s Hospital, Patient Account Department, One Children’s Plaza, and Dayton, Ohio 45404. 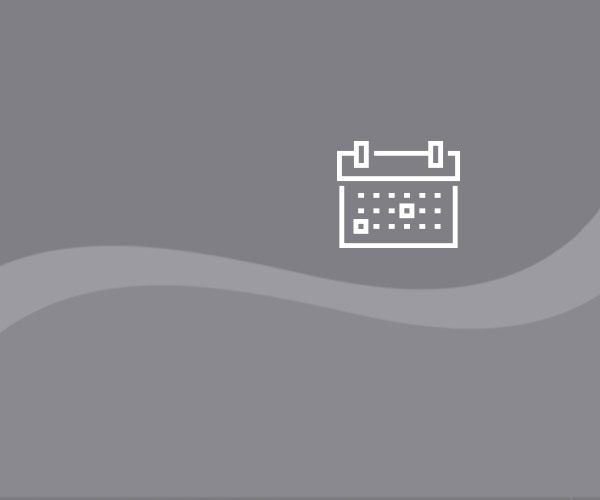 The Financial Assistance Department will review your completed application along with the documentation you provided to determine your eligibility. We will contact you if additional information is required to complete your application process and/or when a decision has been made. Please allow 30 days for us to complete the evaluation process. You may obtain a free copy of our FAP and FAP Application Form by visiting the links above or by contacting our Financial Assistance Department at 937-641-3555. Upon your request, our Financial Assistance Department will mail you a free copy our FAP, FAP Application Form, and Plain Language Summary to the address you provide. Free Copies of the FAP, FAP Application Form, and this Plain Language Summary are available in hard copy at Dayton Children’s Hospital, Patient Account Department, One Children’s Plaza, and Dayton, Ohio 45404. Other services which are separately billed by other providers who are not employees of Dayton Children’s Hospital, such as independent physicians, are not eligible under our FAP. Our FAP, FAP Application Form, and Plain Language Summary are available in English, Spanish, and Russian.